Hey there, bride to be! Are you hitting the beach for your tropical wedding? 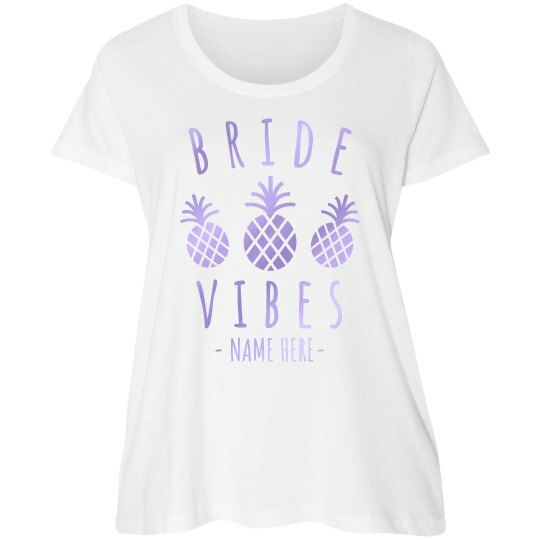 Send major bride vibes with this comfy and curvy, pineapple patterned t-shirt! Make sure you add your own custom text to personalize it!